Hindsight is really starting to push on a bit now. Welcome to the sixth edition, not quite near the end yet though! Looking back now 2008 was a sensational year and Daylight Dies’ third album, Lost To The Living was one of the highlights, positioned neatly in third place in my albums of that year. Previous efforts No Reply and Dismantling Devotion were opulent pieces of modern and focussed doom metal with a unique edge. Lost… is a continuation of that but with everything blasted up. Melancholic in every sense of the word Daylight Dies have the ability and the drive to threaten the thrones of Paradise Lost and Anathema et al. The album weaved elegant guitar work and fearlessly included acoustics around thudding bass lines, guttural vocals but also gentle croons from Egan O’Rourke. Lost To The Living stood up as their finest album yet, with the epics to raise the hairs on the back of your neck. 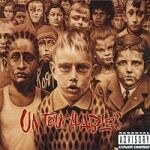 Korn’s fifth studio album Untouchables was so undeservedly vilified upon its release. Granted, the record took a ridiculous length of time to write and record and was even more ridiculously expensive to record. But the primary reason for the division initially was the abandonment of the alternative/nu metal vibe of their late 90s albums. Here was a much heavier, dare I say darker album; but done so in an almost entirely different fashion. Like fine wine Untouchables became more appreciated given time. Now, “Here To Stay” is a live favourite and tracks like “Blame” just punish while “Thoughtless” is abnormally eerie. But this record’s dizzying crescendos reach their loftiest height with the dual closers of “I’m Hiding” and “No One’s There”. Almost with nonchalance Pearl Jam rather straightforwardly left fans breathless with their 2006 self titled effort. No signs of rust were showing on the veterans when the first note of “Life Wasted” commenced. From there the album is void of filler through the punky vigour of “Comatose”, the melancholic “Parachutes” and the bluesy crescendos in “Come Back”. While many took comfort in believing the band’s best years were in the 90s, Pearl Jam silenced many. Earlier this year they did the same thing with Backspacer. On their debut full length album Celestial, Isis seemingly made a couple of promises; one was that they were a band to take notice of. That promise came to fruition on second record, Oceanic. This post metal tagging of bands has been running rampant for a few years now and many would blame Isis, among some others, for its birth. But what Isis showed was that such a phrase was wholly extraneous. They’re experimental metal and certainly progressive, just perhaps not in the most conspicuous sense. Oceanic struck a delicate balance between heated vehemence and assiduously weaved ambience. This shown heart haltingly so on the audacious transferral from the aurorally soothing “Weight” to the earth shaking “From Sinking”. 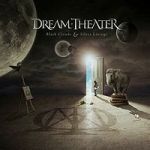 Unashamedly brilliant, Dream Theater proved why they’re the best at what they do on Black Clouds & Silver Linings. And to top it off they did with apparent ease. The towering riff of “A Nightmare To Remember” hits and BC&SL powers through mammoth riffs and choruses like that on “A Rite Of Passage” and “The Best Of Times” or tugged those heartstrings on “Wither”. But it all culminated in glorious fashion on the neat 20 minute closer “The Count Of Tuscany”, which reaches such a crescendo it could almost obtain independence. Awesome, simple as. It would be cruel to use the phrase one hit wonder here. But unfortunately it’s somewhat true. 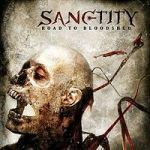 2007 gave us Sanctity, signed to Roadrunner they unleashed this storming debut album, bursting with anthemic modern metal numbers. But alas, after much touring frontman/guitarist Jared MacEachern and bassist Derek Anderson left. Since then the name Sanctity has slipped away into a dark corner somewhere.